I pay attention to the details so you don’t have to. Hi, my name is Adam, I’m a certified professional home inspector with 14 years experience in the construction industry. Each inspector has varying qualifications, equipment, experience, reporting methods, and pricing. Ultimately, a thorough home inspection depends heavily on experience and how much I care. 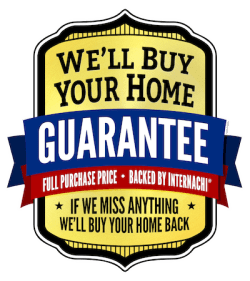 If you honor me by permitting me to inspect your new home, I guarantee that I’ll take the same care as if I were buying the home. Call 703-928-6745 with any questions you may have. Or use the form below. We’ll get back to you as soon as possible!